Greta Van Fleet Announce World Tour For 2019! 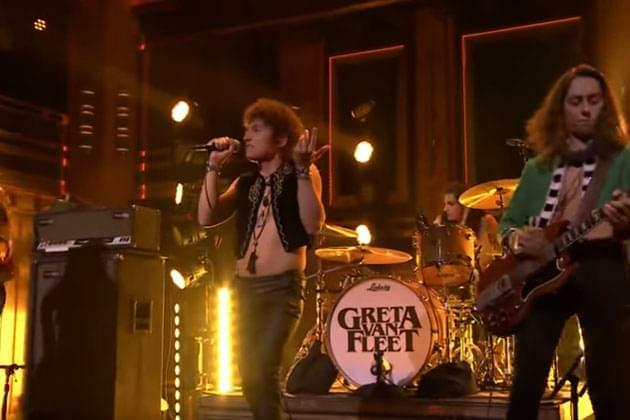 The boys in Greta Van Fleet have had quite the year. Last year, as you know, we had them as our co-headliner at our Avanti’s Nutcracker show. They were epic. Since then, add in two more hit songs, TV appearances, a standing ovation on Jimmy Fallon, critical acclaim, and now, their first full length album. To coincide with this, the band has announced a massive full length tour for 2019. Their new album, “Anthem Of The Peaceful Army”, is completed, and their new song is blazing on the X. The band is launching into Australia, Germany, New Zealand in early 2019, and will then return to the States for multiple dates. Wouldn’t it be nice to get them back in Peoria??? You X fans certainly were wowed with their performance last year at the Avanti’s Nutcracker. What a story, and what a year for Greta Van Fleet. The band is set for three sold out nights at the Aragon Ballroom in Chicago in December. We just might have some tickets! Let’s Rock!